Defining these words is like trying to define “monster” or a “superhero.” I have seen (and participated in, ‘cause that’s how I roll) debates on whether the xenomorph from the “Alien” films belongs in a category of “movie monsters.” Some say that because it is an “alien”—and aliens aren’t traditional folkloric monsters—it can’t be a monster. (I disagree.) But the word “monster” isn’t clearly defined. Basically, anything scary can be a monster. So by that token, are ghosts “monsters?” What about “human monsters” like serial killers? Dragons in fantasy movies? When does something stop being a monster? Or start being a monster? What about the Cookie Monster? Or Monsters Inc.? And how about superheroes? Even though he lacks super powers, Batman is generally accepted as a superhero, but how about Sherlock Holmes? Or Tarzan? Or Gilgamesh, Beowulf, and Heracles? Where do you draw the line? Should the line be drawn at all? Does popular consensus matter? As you can see, there is no real answer. Just opinions. And almost all of the great folklore researchers have their own opinions. They disagree with each other on the definition and categorization of yokai, on exactly what a yokai is and if a yurei counts as a yokai or not. Almost every book on yokai and yurei begins with the definition of terms—what that particular researcher/writer considers to be a yokai or a yurei. You just kind of have to pick your camp and decide who makes the most sense to you. Or start your own camp, because that’s valid too. Just don’t expect anyone to agree with you. 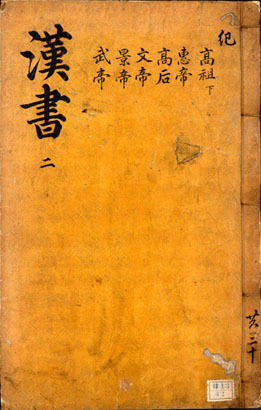 Japan imported both terms, with yokai first appearing in the 797 CE history book Shoku Nihongi (続日本紀 ; Chronicles of Japan Continued), the second of the six classical Japanese history texts. Yokai described an unseen world of mysterious, supernatural phenomena. The term represented something invisible, without form or identity; a mysterious energy that pervaded the deep forests, oceans, and mountains. Yokai as a word only came into general use the during the Meiji period, thanks to folklorist Inoue Enryo (1858 – 1919). 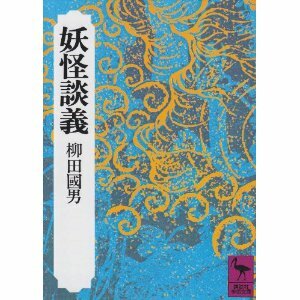 He founded a field of study he called Yokaigaku, or Yokai-ology. Inoue used the term “yokai” in the same way we would say Fortean phenomenon—meaning any weird or supernatural phenomenon. Wanting Japan to move into the modern world, Inoue used the term “yokai” to point out the foolishness of believing in such things in a scientific age, and vowed to shed light into the dark, superstitious corners of Japan. He hoped to eradicate “yokai” by studying it and explaining it scientifically. Translation from Pandemonium and Parade: Japanese Monsters and the Culture of Yokai . In Ikeda Yasaburo’s book Nihon no Yurei he almost agrees with Yanagita, seeing two distinct types of yurei. The first kind, as evidenced by the story The Chrysanthemum Vow, show a spirit with a specific purpose and attachment towards another human being. They have the ability to travel, to move “a hundred ri” as Yanagita puts it. The other kind of spirits, as evidenced by The Black Hair, are those spirits bound to a particular place. They may have some sad story keeping them put, but ultimately it is the location that matters. Obviously, Ikeda is correct; Yanagita’s distinctions fail the simplest of tests. Look at three of Japan’s most famous ghosts, Okiku (Bancho Sarayashiki), Oiwa (Yotsuya Kaidan), and Otsuyu (Botan Doro). The plate-counting Okiku is bound to her well, and by Yanagita’s definition would be an obakemono and not a yurei. Oiwa is free to travel where she wills, but doesn’t care at all about the Hour of the Ox. When she appears at her husband’s wedding, it is the middle of the day. And the Chinese origin of Otsuyu means that she obeys almost none of Yanagita’s rules, making her neither obakemono nor yurei. Yanagita was one of Japan’s first folklorists, and a great researcher and gatherer of tales, but I often disagree with his conclusions. Not for any fault of his own; Being the first, he was operating with a limited amount of materials and information, and not able to discuss or cross-reference his findings. Mizuki Shigeru takes a much broader approach, In his Secrets of the Yokai – Types of Yokai he put everything under the general term of “Yokai” (or “Bakemono,” which he considers the same thing”) and then broke it down into four large categories, one of which is “Yurei.” Mizuki started studying yokai seriously in his 60s when he had largely retired from drawing his famous Kitaro comic. He also did something Yanagita Kunio had never done—he traveled the world and learned about the folklore of other countries, and compared it to his native Japanese folklore he knew so well. From this, he developed a definition of yokai that was as inclusive as possible, broadening the use of the word “yokai” outside of Japan to include “Western yokai” and monsters, and the natural phenomenon and deities of all countries. I personally fall into Mizuki’s camp—I believe yokai are so much more than just Japanese monsters. In fact, if you look at Toriyama Sekien’s yokai encyclopedias many Japanese yokai did not originate in Japan—they are characters from Chinese folklore or Indian Buddhism added to Japan’s pantheon. And even inside Japan, yokai encompass so much more than monsters. There are yokai winds. Yokai illnesses, Yokai transformed/possessed humans. Pure yokai monsters. But then again, I am as guilty as anyone for also using the word yokai as a shorthand for Japanese monsters. Because it is convenient, and gets the meaning across in a simple fashion. And sometimes, convenience trumps accuracy. Because folklore isn’t a science.
. Or there is the massive Gashadokuro, sometimes said to be the assembled bones of people who died of starvation. Or Dorotaro, the spirit of a farmer whose fields were mistreated by his son. There are many others. Yurei is clearly just one form a human being can manifest as after death. They can become kami. They can become yurei. They can become yokai. All though saying “they can become yokai” is redundant, as they are all yokai. Komatsu Kazuhiko put forward the idea that yokai are sort of the B-List of the kami pantheon, the “unworshiped gods.” It has long been thought that spirits can be transformed into kami via ritual and worship. By that measure, yokai are simply proto-kami, amassed spiritual energy that has managed to take form, but needs the extra boost from human worship to advance to the next stage and become a true kami. Just as many yokai have no connection to religion at all. Toriyama Sekein created a host of yokai for his books, some of which were just ghostly twists on plays on words or popular phrases. Kyokotsu the Crazy Bones being one of the most obvious examples. A few hundred years later, and these Toriyama-invented yokai are considered just as valid as something like a kappa that is thousands of years older. When you ask “What’s the Difference Between Yurei and Yokai?” you sort of have to decide if you mean historical, or modern. In the Edo period and older, there was absolutely no difference. You go back even further, and yokai and yurei are indistinguishable. But as we move more and more into the modern manga-influence era, where yokai are being used as characters in comics, and the meanings of the words appear to be changing. I think manga is the biggest influence on yokai today. 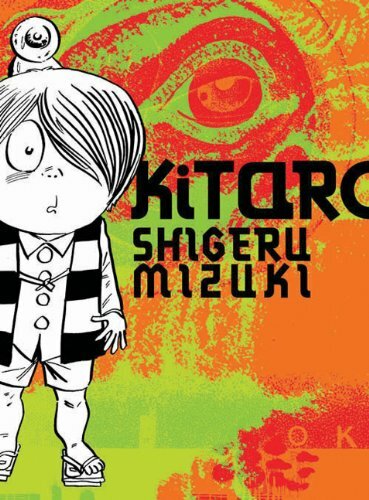 Comics like Kitaro , Inuyasha , and Nura: Rise of the Yokai Clan are teaching a new generation of readers what yokai are, and it is something entirely different from what Yanagita Kunio recorded in his notebooks. Modern yokai have distinct personality and complex motivations, instead of Yanagita’s repetitious monsters bound to their locations and lacking true motive power. 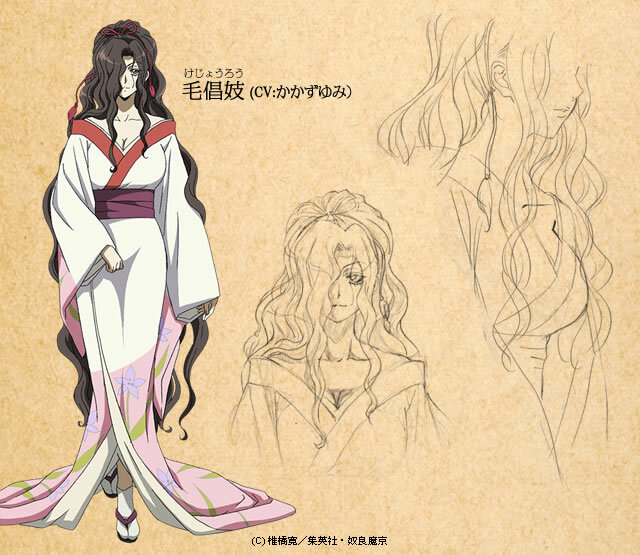 And yurei are being left out of the party, treated as something different from yokai entirely. 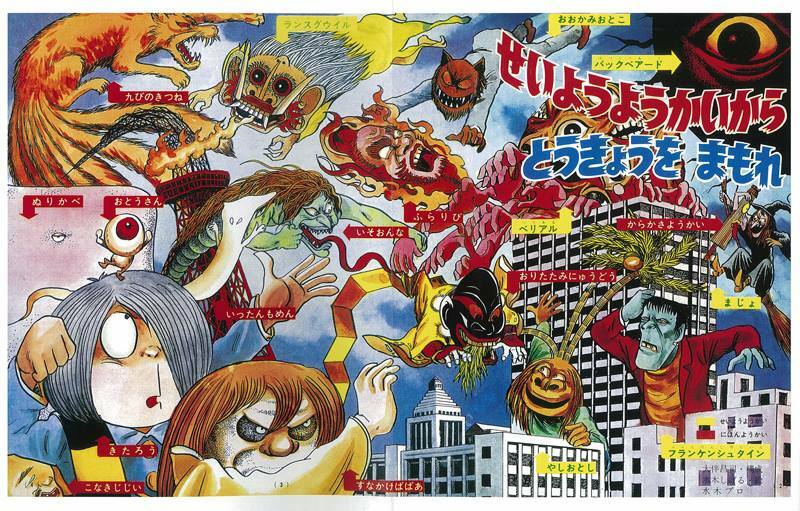 Those manga yokai are probably just as valid as Toriyama Sekein’s yokai catalog. The definitions of yurei and yokai have changed over the centuries, and will continue to change going into the future. Because “change” is at the heart of yokai. They mold to meet the needs of the current generation. They are mutable. This is a long, rambling answer to a question by reader Chiara Leerendix, who was having a debate with her professor on the differences between yurei and yokai. 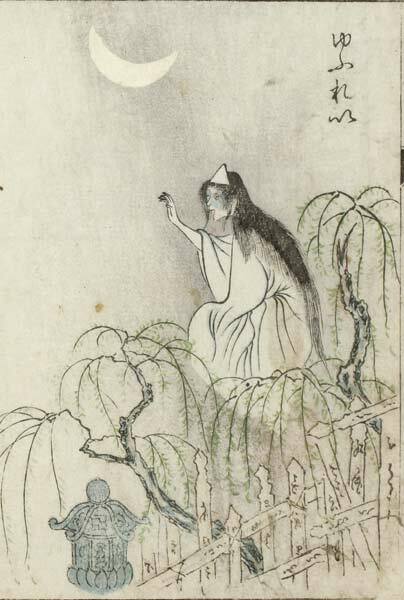 He claimed that yurei were spirits of the dead and related to death and religion, while yokai were just monsters without any deeper meaning or religious connection. Obviously, I disagree with that. But the debate is ongoing. While I don’t have an exact answer for Chiara, hopefully this will provide her with some good arguing points to take to her professor. Of course, her professor is welcome to respond to this post as well! Mizuki’s definition of yokai is very interesting, especially when one remembers how, in the West, we also use “Fairy” or “Fair Folk” when talking about creatures in other countries. This actually also reminds me of the anime Vampire Princess Miyu. That one had yokai-like creatures called “Shinma,” and the show mostly showed Japanese ones. But some episodes had “Western Shinma,” who had a more Medieval European feel as opposed to the usual Feudal Japan motif; one in particular was something of a black knight-type character, if I recall. True. And especially true when you look at early translations of kaidan and yokai stories from the 1900s. They are almost always called “Japanese Fairy Tales” and were filled with ogres, fairies, water imps, and other things put into Western context. Whew! An excellent article! I think nowadays, for many people, the cultural pespective also makes a difference. In Western culture, the bounderies between various “super” naturals are often more closely drawn than in Japan. A Ghost is a spirit of the Dead, haunting wherever it is, for what ever reason. It is not a force of nature. Superman is a “Super Natural” hero, he was born that way. Batman is a “Super Hero,” he puts time, effort, and money into making the world a better place. Anyone who is willing to work at it can become a hero like him. Superman is a Yokai, Batman is not… but he is still a “Super” HERO. Very interesting, and probably an entry I will link people back to if the topic ever comes up! I know I’ve run into translation issues trying to explain yokai culture to people who are entirely unfamiliar with Japanese culture. I agree that it’s a handy blanket term to refer specifically to the Japanese pantheon, even though it’s usage could be wider. I’ve always enjoyed the East/West monster mash-ups in Kitaro and Vampire Princess Miyu. I don’t think anime/manga culture would be what it is today without Shinto/yokai background as it’s familiar enough to the Japanese market that people have a demand for it, yet it keeps things fresh and new enough to keep it interesting for this generation. Plus, has any other country produced such an array of collectable monster trading cards? I would make more distinction between kami and yokai, however. If you consider Shinto in a wider context than just kami, one of its only spiritual considerations or moral codes is purity. A shrine is set apart from the world as a pure space, and impurities, such as death or–historically–menstrating women, are kept out of the shrines due to their impurity. 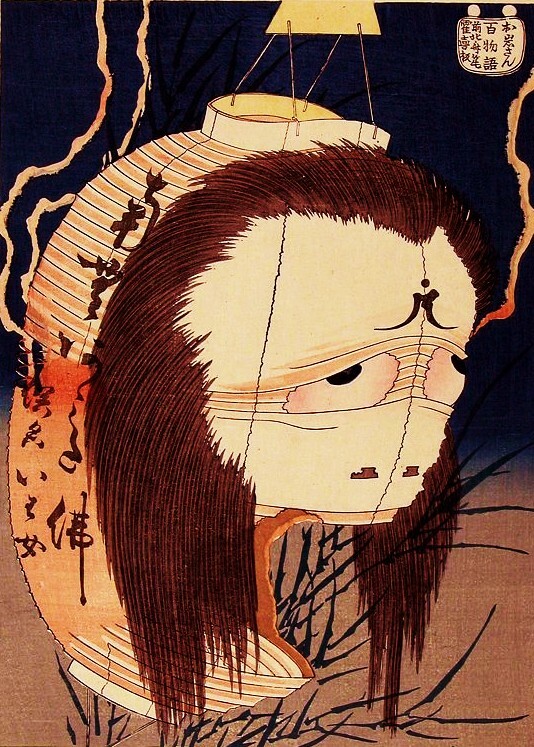 Many yokai are associated with rather unclean parts of the world. While it’s easy to wrap them all in the same unseen, mysterious realm, responsible for phenomenon good, bad, and strange, my main distinction is that a kami is a pure being, and a yokai is an impure being, and to go along with your distinction, therefore not worthy of worship or inadequately worshiped. Purity and impurity do not necessarily mean good and evil, though. Sure, but keep in mind that the purity of Shinto is ritual purity. The kami are not themselves pure .. they have been purified by ritual and worship and the restrictions are to maintain that pure space, to eliminate contamination in an area that has been ritually cleansed. Worship and ritual have always been tools for transforming dangerous, “wild” energy into safe and contained kami spirits. Kami are like lightning or fire–dangerous in its uncontrolled state but beneficial if trapped and controlled. And many kami are onryo–vengeful ghosts–transformed into kami via ritual and enshrinement. Which is what Komatsu Kazuhiko says, that yokai are the same essential kami energy but ones who were never purified, never worshiped or enshrined. The energy found other means of expression, becoming yokai instead of kami. I agree absolutely with Mizuki. Oh Thank goodness! Glad to get some clarification on the whole deal. So when I think of Oni…they are a type of Yokai that belong to the Demon-Realm, and when I think of Yurei, they are type of Yokai belonging to the Ghost-Realm. I think I’m starting to understand this better now. So in cases like Kitsune, and such..they’re more in-line as nature spirits rather than being formed from a human-spirit? Close enough! And remember, there is no 100% answer. Folklore changes, and ideas and characters change over time. It’s not science! Thank you very much for the article! It was very informative. I came across your website a few days ago and couldn’t be happier about it! Folklore and legends of Japan have been in my area of interests for quite some time, but recently I have started researching it more fundamentally. I have a question about this post though. I think I am missing something. Would you please clarify when the kanji for yokai actually appeared first: in the 1st century or in 797? Or maybe different examples of usage are discussed here, so the dates also differ? Maybe you happen to know about some professors in Japanese national universities who specialize in yokai studies. I would be extremely grateful to you if you could provide me with some names and universities they are associated with. No problem! The confusion is just about the countries. 1rst century in China, then 797 in Japan. Sorry if that wasn’t clear! And I am afraid I don’t know anything about Japanese national universities. Oh! Thank you for such a quick reply! Hi ! I heard about the word hokaigaku. Do you know it ? Do you know where I can find informations about it ? Hi ! I heard about the word yokaigaku. Do you know it ? Do you know where I can find informations about it ? yes, it’s linked to a culture of monsters apparently. Yokaigaku just means “Monsterology.” You can learn all about it in this book!